It is the little things in life that count, according to the old adage, and this is certainly true as far as user experience is concerned. The devil really is in the detail. All too often some minor oversight on a website makes me furrow my brow, but more and more websites are taking a microscopic approach to user experience and interface design, and the results can be useful, amusing, fun, and functional. I thought I’d share some of my favourites, as well as a bunch from Little Big Details, a fantastic website that collects these examples of smart user-focused design. It has hundreds to browse through, so if you’re interested in UX design then do check it out. Note the sad face on the little shopping cart icon when you first visit The White Stuff’s website. Add an item into your basket and hey presto, that frown is turned upside down. In the header last.fm offers you the chance to ‘Paint It Black’. Click it to go monochrome. Expedia creates perceived demand by telling you how many people are looking (and have looked) at the hotel you’re interested in. BBC iPlayer embraces the spirit of Spinal Tap. See also the IMDB rating scale for that marvellous movie. Buffer will use selected / highlighted text on a page to be the caption in your tweet. For those times when a quote is better than the headline. Dribbble.com displays a colour palette alongside an image. The colours of the image are represented, allowing you to drill down and browse other images with similar hues. The usual green logo turns orange and falls asleep when the device isn’t connected to the internet. Click ‘search’ without typing anything into the search box and it will suggest a random cocktail. Drag the bookmark and the Bit.ly b̶i̶r̶d̶ puffer fish will cheer you on. The StreetView icon in Google Maps is provided with a surfboard when you look at a map of Hawaii. Meetup automatically expands your search criteria in the event that no results are found. Vimeo knows that humans are often resistant to change. The Amsterdam Museum shows you the opening hours in its header for today. If you visit 37 Signals today it will wish you a ‘Happy Monday’. Ebay remembers your order history and will change the button from ‘Buy Now’ to ‘Buy Another’. I love the emotion, the persuasion, the knowing wink, and the way that small details as shown in the above examples can make you feel engaged and happy when using websites. What other examples are there that you have seen? Please leave a comment below if you spot anything! A new survey of UK smartphone and tablet owners shows that mobile is helping to drive an increase in impulse buying, particularly for clothes and music. 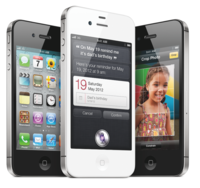 However the results also show that security concerns remain a key reason preventing consumers from embracing m-commerce. The survey, commissioned by Rackspace, interviewed 2,009 smartphone and tablet owners on their attitudes towards various aspects of m-commerce. It found that just 40% of respondents make purchases using their device, meaning that there is still a huge amount of room for m-commerce to grow even among the current audience of smartphone and tablet owners. This figure is slightly lower than data from our Multichannel Retail Survey which found that 25% of all UK consumers had made a purchase using their mobile. Digital agencies continue to rely on outsourcing to manage unpredictable workstreams and in order to tap into outside technical expertise, according to new research published today. 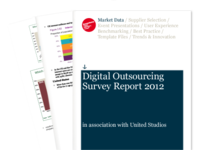 The Digital Outsourcing Survey Report 2012, carried out in partnership with United Studios, found that 57% of responding digital agencies are outsourcing work to freelancers, other agencies or to specialist digital production companies.